In this video you will learn a new handling for "Mercury fold" sleight. 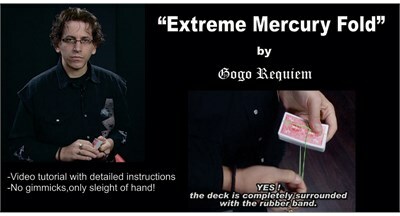 Bonus routine included is Extreme Mercury Fold with the rubber band around the whole deck. Video tutorial with detailed instructions.